There’s good news in Hillsborough County’s quest to reduce traffic fatalities. The number of traffic deaths to date in 2013 is 75 persons. Any number is too high, but when compared to the 102 people who died in 2012 at this same time, there has been a reduction of over 26%. A Fatality Reduction Team was formed by FDOT District 7 specifically to address how each member agency can contribute to making our roadways safer. La102w enforcement, public works, and planning officials from around the district have been employing staff and funds for programs to reduce crashes and the results show their efforts. 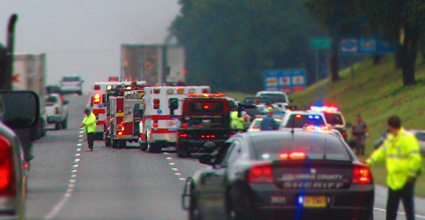 Still of heightened concern are the number of motorcycle fatalities. The state’s Strategic Highway Safety Plan recognizes as an emphasis area Vulnerable Road Users which includes motorcyclists, pedestrians, and cyclists. The number of motorcyclist who died on Hillsborough County roadways for the entire year in 2012 was 38, yet in the first 6 months of 2013 there have been a total of 25 deaths. Both the Tampa Police Department and Hillsborough County Sheriff’s Office have been invited to join the statewide Motorcycle Safety Coalition.